As a traveler, the best way to get to know India is to board a train. Only train travel offers the combination of unique cultural insight into Indian culture coupled with incredible natural scenery; the ability to witness the landscape of a country whose scenery is diverse and continually changing. Mountains, rivers, rural villages; these are the sights which fly into your field of vision and vanish just as quickly as the train speeds by. The comfort and freedom you enjoy on a train cannot be compared with even the best of flights. However arranging for train journey and the journey itself can be challenging if you do not know how to go about it. The following is a complete guide to navigating Indian Railways for the international traveler – important guidelines to help you as you pack off for an interesting journey. Budget and level of comfort are naturally the two factors that you need to consider while booking your ticket for the train. The plans offered by Indian Railways are flexible enough to offer some comforts even for those with a tight budget. The classes available are second class, which is unreserved, sleeper class, air conditioned chair car, three tier air conditioned class, two tier air conditioned class and first class air conditioned. Some trains have one or two more classes. While booking your tickets make sure you state your preference regarding berths. A berth refers to a bed. Three tiers have three berths on each side while two tiers have two berths. If you have the ability to climb the top berth, it is best to request this as you will have complete freedom and there will be no need to fold it once you wake up after a sleep. Every compartment has side berths too, which refer to the beds along the aisle. The aisle has two berths, and if there are two of you traveling together, this can therefore be a great option as you will have absolute freedom while sitting and stretching for a sleep. However, if you are quite tall and nearing 6 feet, you may want to avoid the side berths as they are shorter than others in the compartment. Traveling in unreserved compartment is not the right option for a new traveler. If it seems odd that I’m giving you tips on how to board the train, I can guarantee you’ll understand the need from the moment you step into the station! If you are about to board a train that stops enroute, you need to make sure you are on the right platform. Once you reach the station, you need to find the platform number where the train you are to board will arrive. The waiting area for travelers in the station is set up with boards which announce the details regarding the arrival and departure time of the trains. On reaching the platform, learn where your coach will stop. This reduces the last minute rush through the crowd with your baggage to reach your compartment. The overhead indicators on each platforms offers information regarding the coach numbers that will stop in that particular place. Once you get inside your compartment, locating your seats should be easy as these are all numbered. If you are traveling with oversized luggage, you can load it in the luggage van that is attached at the end of the train. After arriving at the station, you need to show your travel ticket at the luggage office situated near the platform to have this luggage loaded. Indian Railways offers free allowance for all classes up to a certain weight. This weight limit for free luggage depends on the type of the ticket you have. If you are traveling with oversized luggage, you can load it in the luggage van that is attached at the end of the train. TTE, the Traveling Ticket Examiner, is an employee of Indian Railways. He will be hectically busy until the train starts moving as he is always surrounded by people on the shortlist, waiting for last minute tickets, as well as those who have travel related questions. Once the train moves, you will find the TTE busy in a relaxed way, checking the tickets of passengers. He can address any concerns you have regarding change of berth or travel related questions like the time the train may reach your destination. You can also request class upgrades which are granted subject to availability. Long distance trains have a pantry car, which serves beverages like coffee and tea, snacks, tiffin and meals. You can order from your seat anywhere throughout the train from the railway staff who frequent each compartment. Alternatively you can also walk up to the pantry car and order your food directly there. Unless the travel fare includes your meals, you need to pay for what you buy. 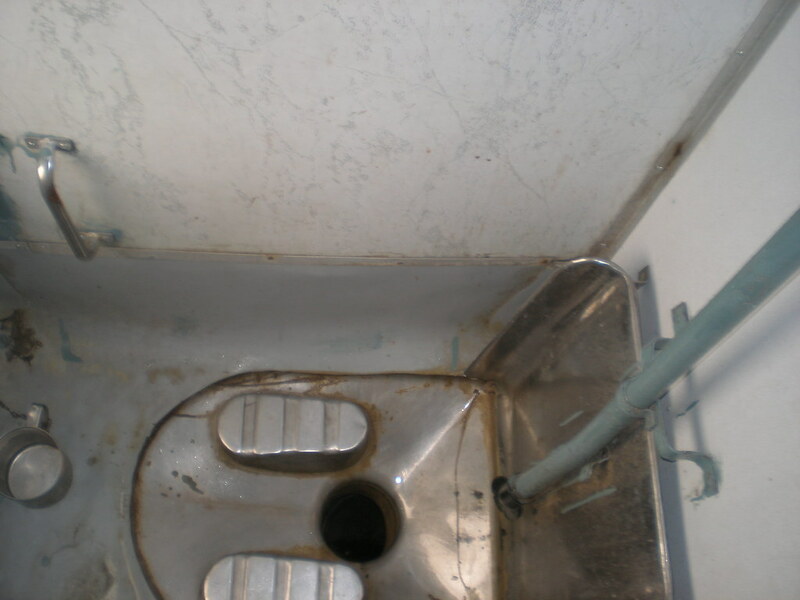 Both Western and squat toilets (referred to as Indian toilets) are found in each of the coaches. A coach has 4 toilets out of which three are Indian and one is Western with a flush. If you are not used to Indian squat toilets, especially on a moving train, you may find the concept of a bathroom break slightly intimidating! Avoid carrying your cell phone, glasses, keys are anything that can fall off your pocket while in the toilet. To ensure a pleasant journey, it is best to research all options available to you before booking a ticket on an Indian train. When you travel in India, you can also choose to book specialty and prestige trains, and these offer more comfort for a higher fare. Abide by the above tips and tricks you’ll be fine – have a great time on-board Indian Railways! 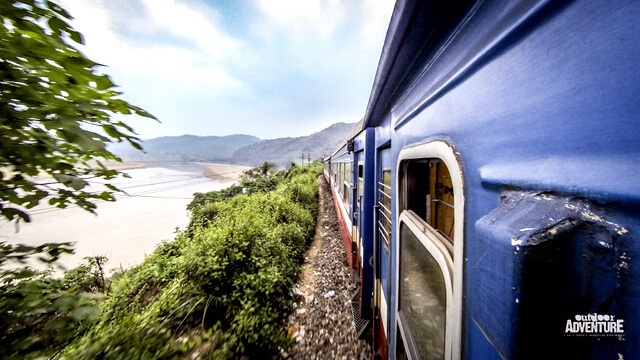 A Complete Guide To Indian Railways For International Travelers. Does the Taj Mahal Live Up to Her Hype? Rohit Agarwal, an architect by profession, travels the world whenever he can afford to take off from his hectic schedule at work. Travel, while not a profession, is his passion, and he has traveled the lengths and breadths of India via train. Every time he boards a train to land in a far off destination, he feels as excited as his first trip on train. 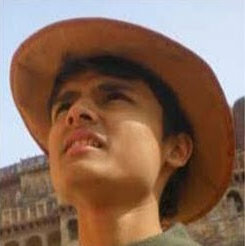 Rohit blogs at “Trans India Travels“; a website focused on guiding travelers about various popular hotspots in India. Nice thorough breakdown here. I didn’t train trip through India but heard great things about the train bit over there. We took buses through the Southern part of the country, from Kerala to Chennai. 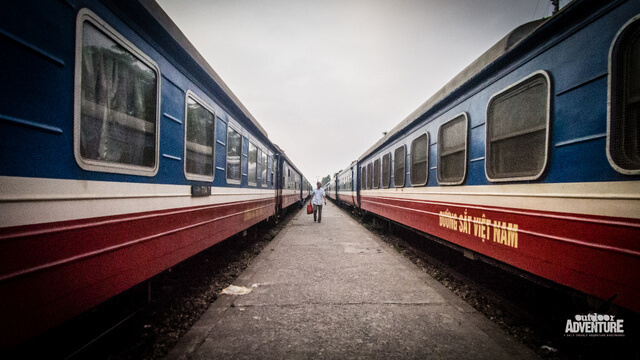 We did love the train scene in Vietnam; the options seem similar, train class wise, between the 2 nations. So glad you enjoyed the piece Ryan – I’ve heard trains throughout Vietnam are also a fantastic form of transport. Such a great way to appreciate the countryside in a way you don’t get from flying. Simple and crisp information. Nicly written. The advice for using the Indian toilet was much needed. Good work! Glad you enjoyed Rohit’s piece Siddharth – heading over to check out some of your street photography! I wish I saw this post before I went to India 2 months ago! Simple and well laid out. Great reference post. Thanks. Glad you enjoyed it Wayne – feel free to pass it on if you hear of anyone heading to India! :) Travel safe. Very informative, having travelled on a number of overnight trains in India a few years ago I probably could have done with a few tips like this! I would definitely add be prepared for long delays at stations, we were pretty lucky but one train was over 8 hours late. Also, the sheer number of people travelling on the trains can be overwhelming! I strongly believe the Indian Railway is an experience not to be missed though! Ouch, 8 hours is a long delay! Thanks for the tip Rach. And I’ve seen photos of packed Indian trains – I had thought at the time that it had to be staged, but I guess they really can just overcrowd to the point of excessive sometimes!! And interesting tip on the toilets – I would have assumed the opposite with people probably missing on the squat on a moving train haha. Noted though! Great tips! Have pinned the post for my own future reference! Glad we could help – and happy travels throughout India! Glad you found it informative. Thanks Kimb! Well first of all thank you so much for the guide and the post that you have mention here. Moreover I will be travelling by train next month so these tips that you have mention will be helpful for me. Happy to hear that you found the tips in this post helpful Luke. Have a wonderful trip! Glad you found it helpful Priya. Happy travels! yes, a nice & precise description guide to train travel in India. especially for those from overseas. yes, train travel can be intimidating for those used to organised systems in the west & more developed countries, that are not so crowded, but considering the population & the demands of mostly uneducated rural folks, the railways serves up quite a decent travel option. & it is cheap by a good margin. yes, there are huge delays, (meg, 8 hours may just be the tip, we have traveled on trains running 24 hours late) but those ere the days. now it is more systematic & organised. the railways are working with specialists to make train travel more pleasant for everyone. stations are spruced up & becoming more traveler friendly both for local as well as foreign travelers. Thanks for sharing your knowledge and experience Pravin, glad you enjoyed the post! I am glad to find it. I found this much useful information. Thanks for posting something worth reading. Great work.